The Fox Hunt On Mountain Stage The West Virginia string band combines fiddle, mandolin and banjo with a variety of rock influences. 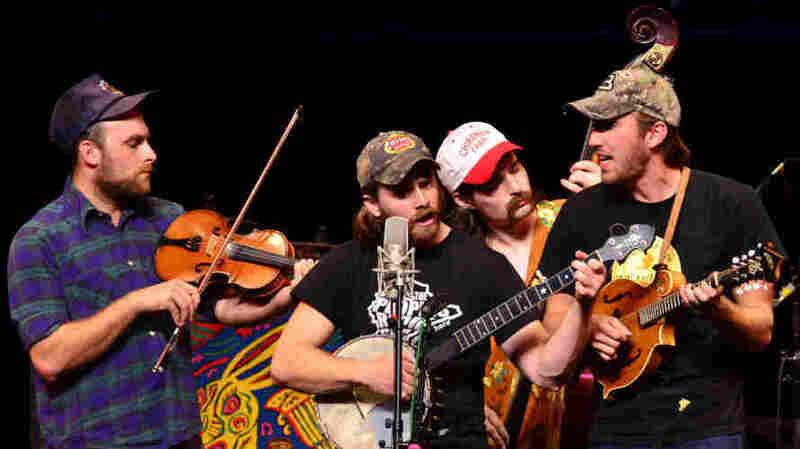 "Medley: Ducks on the Pond / Spirit of Tag Whiskey / McLoud's Reel"
Formed in 2006, the group supports its harmonies with mandolin, banjo and fiddle. In 2010, the band released its third album, Long Way to Go. Upon returning from a tour of Ireland in 2011, The Fox Hunt became the first act to sell out the Shepherdtown, W.V., Opera House. On the road 150 days a year, the band has amassed a loyal following and was featured on CNN. This show originally aired on October 14, 2011.